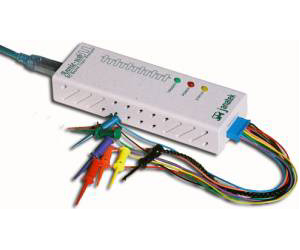 The Annie-USB is an 8-channel PC-based logic analyzer with probably the highest specifications in its class. It can capture data at a maximum rate of 500MHz and has a buffer depth of up to 1 Mega-samples per channel. The Annie-USB can also be used as an 8-bit pattern generator!